Johnson Legal Network, PLLC dedicates its energy to serving business interests. We strive to be a full-service law firm for corporations, limited liability companies, partnerships and other business interests. As an independent business itself, Johnson Legal Network understands the challenges that face other business owners and executives. That is why we practice Business-to-Business Law®. 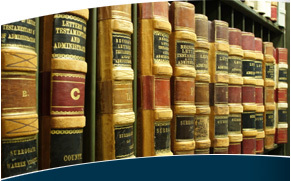 Our practice focuses on corporate and commercial law; business and contract law and litigation; administrative and regulatory compliance, defense and litigation; environmental, regulatory and government issues; employment law and litigation; and a wide range of issues that impact the petroleum marketing industry, including refiners, wholesale suppliers and retail sellers. The attorneys of Johnson Legal Network have more than 40 combined years practicing law. Our clients include several out-of-state Fortune 500 companies, including major oil companies and clinical laboratory testing companies, and small-to-medium-sized regional and local businesses. Our firm was founded upon the principles of maintaining the highest client satisfaction, our commitment to integrity, and problem-solving, always within the framework of economic rationality. We strive to develop long-term relationships with all of our clients, and consider such relationships to be of primary and utmost importance.